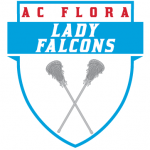 There will be a Meet and Greet for all interested Girls Lacrosse Athletes and Parents at 6:30pm Monday December 10th in the Old Gym. Athletes are encouraged to complete all participation forms on Arbiter Athlete prior to attending the meeting. For more information or help with Arbiter Athlete please contact Coach Moore.